Average UK water bills will rise by £8 a year from April 2019. Here's what you'll pay and how to cut your bill (even if you aren't on a water meter). The average UK water bills will rise by £8, although some households will see their costs rise by double that from April, new figures show. The increase follows on from an average hike of £9 in 2018/19 and means the typical household will pay £415 for their water. Water UK, which represents and works with the major water and sewerage service providers, has issued a release stating that bills have actually fallen by more than 5% in real terms (once you factor in inflation) since 2015. In this article, we'll show the increase announced by each region's water provider and explain how the average bill is calculated and reveal how you can reduce your water bill – even if you don't use a water meter. As the table below shows, Yorkshire Water will implement the biggest hikes, with the average water bill rising by £16 (4%). Households supplied by Dwr Cymru/Welsh Water are facing the second biggest increase at £13, followed by Thames Water (£12). At the other end of the scale, Hafren Dyfrdwy/Severn Dee and Southern Water bills will rise by just £1, with Wessex (£4) households also faring relatively well. Check the table below for the average water bill where you live. How is the average water bill calculated? Your water usage may not actually have much correlation with your water bill. That’s certainly the case if you don’t have a water meter. In this instance, your bill will be made up of a fixed charge (which covers things like admin) and a charge based on the ‘rateable value’ of your home. This is the local authority’s assessment of the rental value of your property. Unfortunately, these ratings took place between 1973 and 1990, so they're not exactly up to date. You can’t appeal if you think the rateable value is too high either. Your bill is out of your hands and completely unrelated to your actual water use. Good news if you use a lot of it, not so good if you don’t. In which case, you might want to switch to a metered bill. This means your bill will be made up of a fixed charge and a volumetric charge, covering your exact use. Whether this means your bill goes down or up really is in your control. To see if a water meter might save you some cash, try your provider's water meter calculator. Switching to a water meter doesn’t have to be a permanent move either. You can switch back to unmetered bills within the first 12 months, so why not give it a try? If your bills go up, just switch back! Can I cut my water bill? If you are on a water meter, then there are things you can do to reduce your bills. 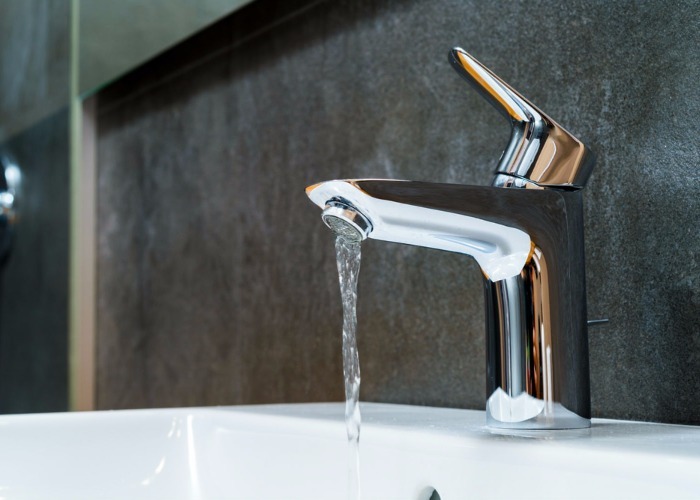 Simple steps like taking a shower rather than a bath, turning off the tap when brushing your teeth and fixing leaky taps can all make a difference. Most water companies offer widgets and gadgets to help you cut your water use. Many are free too so be sure to check out your provider’s site. Even if you aren't on a water bill, it is still possible to make a saving by taking out a reward current account, which pays cashback on a range of household bills, including water bills. Admittedly, your savings won't be massive, but when your options for cutting bills are limited then every saving helps. One option is the Santander 123 current account, which pays tiered cashback on most of your bills. In short, you'll get 1% back on your water, Council Tax and mortgage (capped), 2% on your energy bills and 3% on your mobile, broadband, TV and landline costs. Given the account comes with a £60 annual fee, you really need to ensure you are taking up most, if not all, of these cashback offers to ensure it's profitable (using the water alone will probably only save you £4). Read the best current accounts for rewards and cashback for more options. Want to save even more? Slashing your other monthly costs couldn't be easier. Have a look at our simple guides to cutting your grocery costs and saving on your petrol/diesel costs. Want more stories like this? Visit loveMONEY homepage or sign up for our daily newsletter and let us send the news to you!